Let Us Solve All Your Garage Door Related Issues Today! We're an emergency garage door company, and prepared to take care of problems fast. 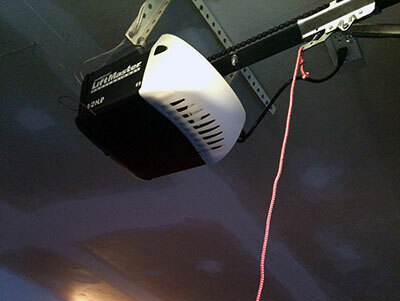 We take care of urgent problems quickly and offer same day garage door repair. Our specialists are knowledgeable and experts in troubleshooting. We find problems and have them fixed efficiently. As well-trained technicians, we can replace garage door parts with amazing care and our response is fast. We can order new repair parts as well as new garage doors and openers for you and you can be sure of our excellent installation skills. We also offer great garage door replacement and maintenance and ensure the safe operation of the whole system. To explore these, you can look at their individual websites, as well as discuss them in person with your local technicians, who can guide you down the right path of garage door openers. Budget is an important factor for many homeowners. If you are operating on a tight budget, you will probably want to choose the chain drive or screw drive options. Chain drives can be noisy, however, because they involve metal chains rattling in a track to open and shut the garage doors. Belt drives are the noiseless version of this same mechanism, because instead of a metal chain, they use a rubber belt. Yet they can be expensive in some cases. Another option is to choose the screw drive for your garage door openers in Duarte. Screw drive openers have fewer parts overall, but they are able to operate smoothly. This leads to less maintenance for some homeowners. In addition, they are midrange in terms of budget and noise levels. Yet there are advantages and disadvantages to all three of these types of openers, meaning that there is no one size fits all solution. To make a decision, you should discuss your options with a contractor, and see what fits into your budget and opener needs.